No one needs to point out the surfeit of garage rock drones currently swelling the ranks of indiedom, but undoubtedly, making a clattery, frayed-edge racket is - and always shall be - an excellent idea. Dum Dum Girls position themselves at the top of the garage pile with this exhilarating 29-minute debut album, taking a different slant on that whole scrappy Vivian Girls/Thee Oh Sees school of rock. As Sub Pop themselves point out the album is neither ensconced in scuzz nor excessively polished, making I Will Be a pioneering work of mid-fi. Or, imagine if you will, The Strokes' Is This It with an echo unit involved and that's the sort of recording style we're dealing with. The production, while largely home-recorded, has actually been assisted by Blondie and Go-Gos producer Richard Gottehrer. Further to that credential, quite apart from approx. 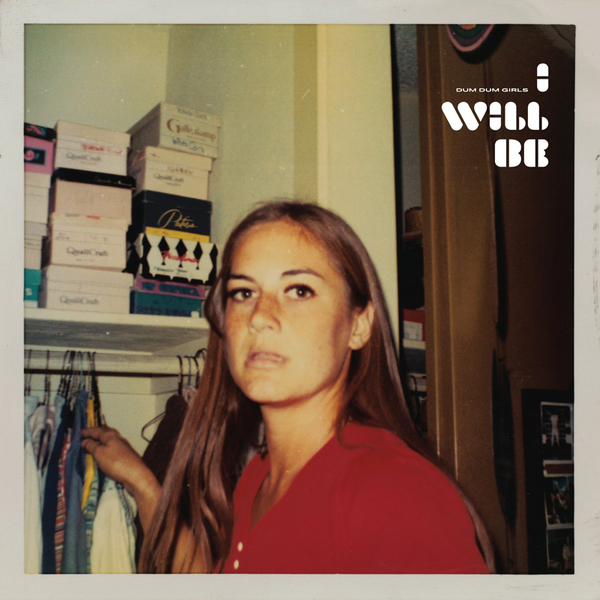 94% of her peers, head Dum Dum Dee Dee (if you'll excuse the alliterative nightmare) is a brilliant architect of pop hooks and owes as much to melodious '80s indie as she does all-out punk. Songs like 'Bhang Bhang, I'm A Burnout' and former single 'Jail La La' quickly take up residence in your head, improving with every spin, while slower jams like the Spector-ish 'Rest Of Our Lives' and 'Blank Girl' (a duet with Dee Dee's husband, Brandon Welchez of Crocodiles) bring some welcome dynamism to the otherwise very brisk pacing of the record. The biggest surprise comes at the close of the album, with a disarmingly heartfelt rendering of Sonny Bono's 'Baby Don't Go' to wrap up. Here Dee Dee drops the punchy beatboxes and fuzzy electric guitars in favour of icy reverb, acoustic chords and lovely harmonised vocals. It's something of a curveball, yet somehow it fits with the rawness and purity of intent shown elsewhere on this impressive and addictive debut.